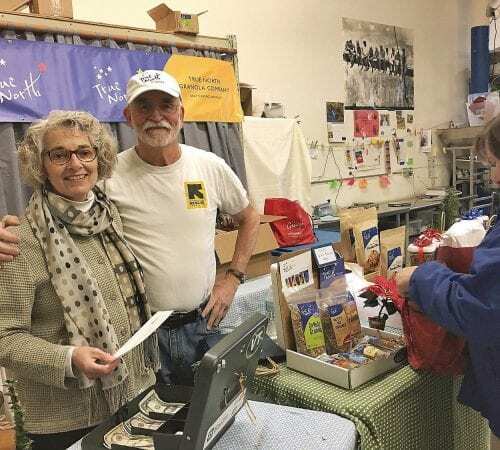 Many thanks to our local newspaper, The Brattleboro Reformer, for recently printing an article about the 20th anniversary of the Cotton Mill Open Studio and Holiday Sale. 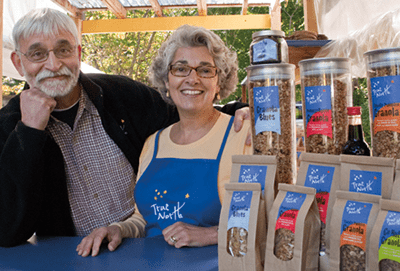 The writer and photographer, Maia Segura, mentioned granola, and featured a nice picture of Ingrid and Franklin. “The 20th Anniversary of the Cotton Mill Open Studio and Holiday Sale will be celebrated Dec. 7 through 9. Rounding out the second decade, tenants of the mill open their doors for a look behind the scenes at some of the area’s most thriving, inventive, local enterprises, shop, eat, and take in a show or two. "Chris Triebert & Carol Ross"